This kit is definitely not required to get the full impact of the class! It's just a fun add-on to help you create awesome layouts and tell your everyday stories. Kit contains high quality, 3x4 photopolymer stamp set made in the US, two 1/16” thick white acrylic titles, a set of small white acrylic hearts, and a 6x6 stencil. This class is a self-paced online course. Upon purchase of the class you will recieve an email containing a welcome letter with links to the exclusive classroom and Facebook group. 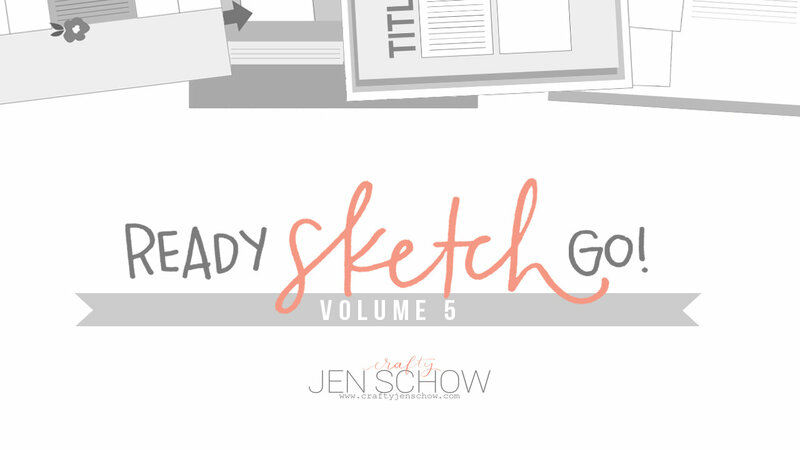 Jen hosts a Facebook Live session in the exclusive Facebook group to answer questions and create an additional layout for one of the sketches, determined by popular vote. *This is an online course. No physical product will be sent.